Scientists who seek to explain their specialised area of knowledge to a wider audience run the risk of either dumbing down their exposition or peppering their prose with unexplained and arcane technical jargon. 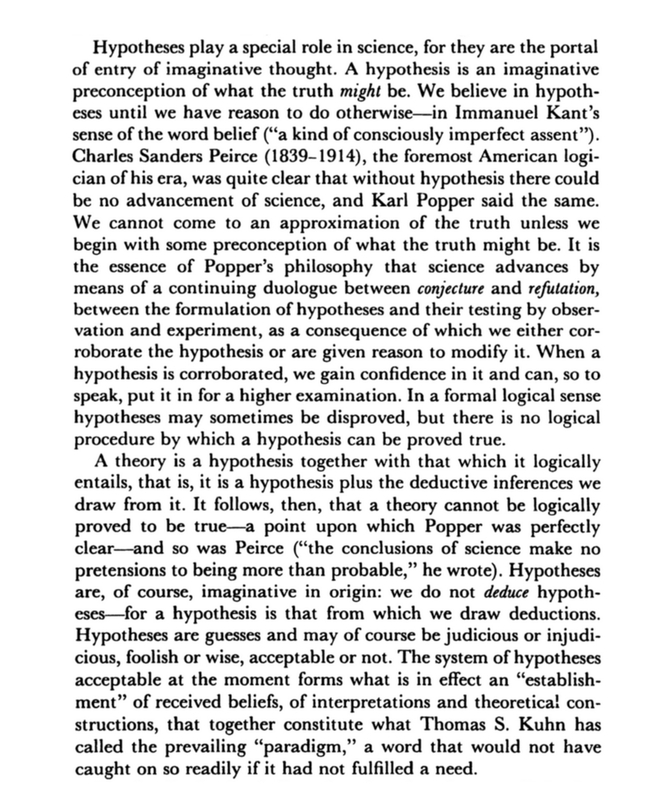 One outstanding example of a world class scientist who was able to explain his area of science in a pithy and engaging prose style was the brilliant Nobel prize winner Sir Peter Medawar (1915-1987). My favourite example of Medawar's superb writing is his `philosophical dictionary of biology', Aristotle to Zoos, which he co-authored with his wife Jean Medawar. 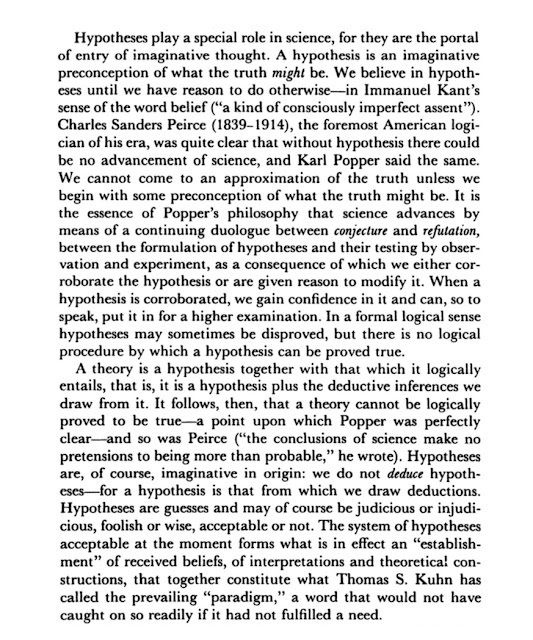 Below is part of the entry on Hypothesis and Theory.